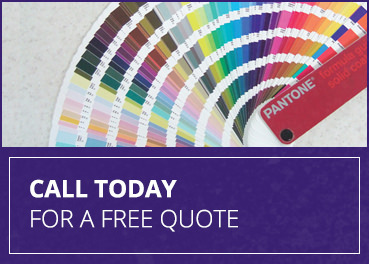 Wotton Printers have the expertise and technology in house to be able to provide you with incredible canvases to enhance the living area of your home or place of work. If it is decorative artwork, or personal memories you are interested in getting printed onto canvas then this is the right place. Canvas printing has become more commonly used and is a great and impressive way to show off photographs in a larger setting. Canvas printers give an exceptional finish to a photograph and makes the image itself look a lot more attractive. By choosing a canvas print, the canvas material itself is very strong and durable, providing you with longer lasting prints. The material of a canvas is woven however it was originally made from hemp, it is now made of two types of cotton: duck canvas and the plain canvas. The duck canvas is tightly woven than the plain canvas. The duck canvas is used in many ways because of the fact it is so durable and can be worked with such great ease. The quality of our materials mean that the canvas printing will be so precise with colours it will have amazing attention to detail. Wotton Printers can turn any ordinary everyday photograph into an astonishing canvas print that will be sure to get plenty of compliments. Having a canvas made from ourselves will make the best of photographs extraordinary with an incredible finish with attention to detail and colours. Our experienced team here at Wotton Printers will create a canvas that not only will top the original photograph but will make the finished result look breath taking. Based in Newton Abbot and the surrounding areas of Devon we aim to provide people with the best quality of finish as we can, henceforth this is why every single one of our prints we sent out to our customers has to comply with our standard of finish we aim towards. That would mean that there is a high standard which we have already set without the print leaving the shop, we are that proud and confident our printing will be that good we know once it has passed our standard then our customer has to be happy with the finished result.